This post is sponsored by Keurig®. All opinions are my own. Thanksgiving is this week which marks the official start of the holiday season, and of course holiday shopping. One of my favorite parts of creating a holiday gift list is simply thinking of all the ways I can surprise family and friends with presents they’ll love. One idea on top of my list this year is the Keurig® K55 brewer. It’s the perfect holiday gift for the coffee lover on your list or even to spruce up your own kitchen because it will be enjoyed year-round. You can brew coffee, tea and hot cocoa in under one minute which means less time in the kitchen and more time spent with friends and family. And for the gift that truly keeps on giving, pair the brewer with Keurig.com’s new coffee subscription program to deliver a customized assortment of select K-Cup® pods to the doorstep of loved ones throughout the year. 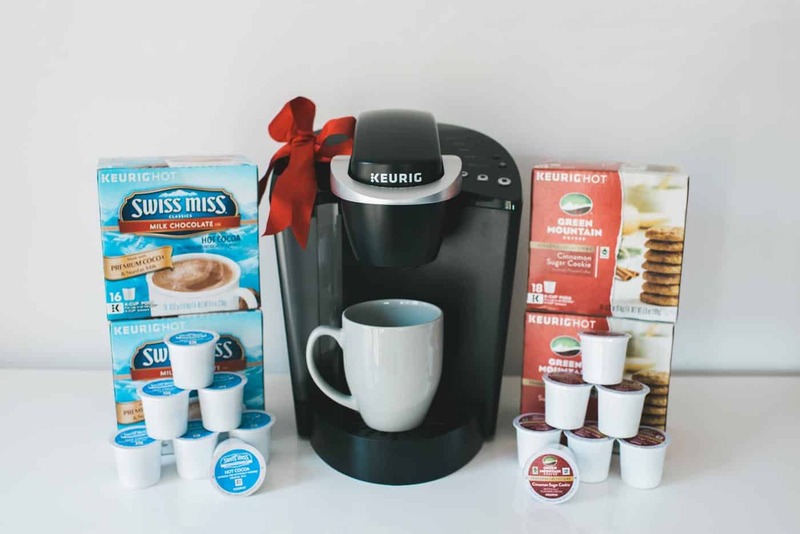 Enter to win my favorite Keurig® K55 Brewer along with a box each of Green Mountain Coffee® Cinnamon Sugar Cookie coffee and Swiss Miss® Milk Chocolate Hot Cocoa. Five (5) lucky winners will be drawn next Friday! Must be 18 years and older, U.S. residents only. Giveaway is Closed. Congrats to our winners! I have been a big fan of yours since saved by the bell. I think u have an amazing talent for what u do. Thank you. Happy holiday season to you and yours! Yipee! Love you and uour giveaways! Too excited! I need a Keurig, only think not on my coffee addiction list so far! I love your cooking show Tiffani! So happy to be following you now! Hi tiffani i luv your show i hope there is a 3rd season. I hope i win this i need a hip coffee maker ☺ good luck to me! Love you! Especially in WC!!!!! Thank you Keurig & Tiffani for a chance to win the Perfect Christmas Gift! I have the perfect couple who so deserve this! Can’t wait to give them this awesome gift!